Replacement parts and mounts for your GoPro. 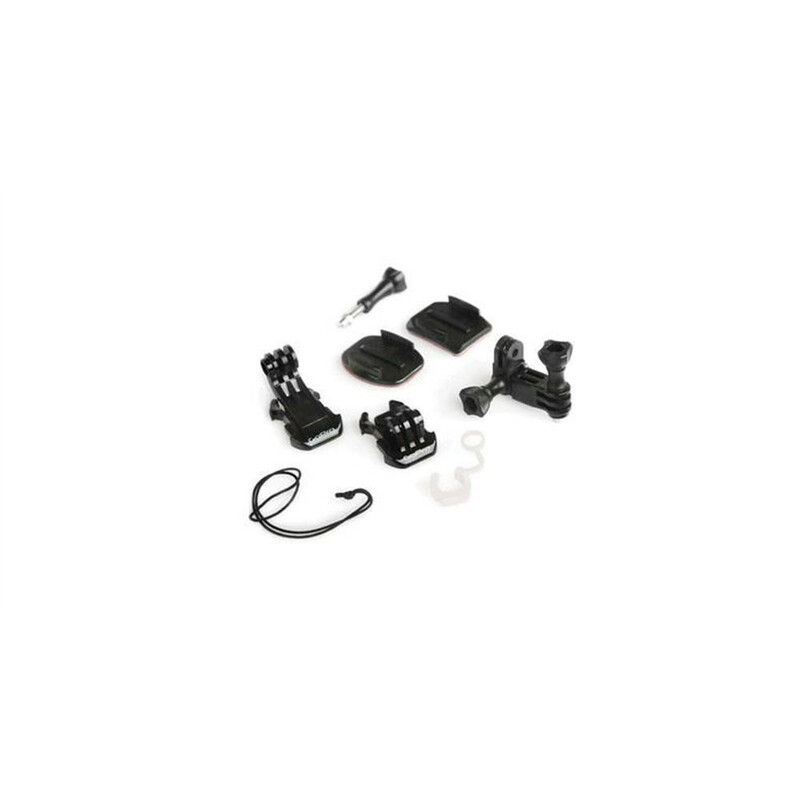 Includes a Curved Adhesive Mount, Flat Adhesive Mount, 3-Way Pivot Arm, Quick Release Buckle, Vertical Quick Release Buckle, camera tether, thumb screw and locking plug. Note: Always select a helmet that meets the applicable safety standard when you use with a GoPro helmet mount. Follow the helmet manufacturer's instructions on safe helmet use.